Bethany House Publishers, 9780764230875, 368pp. Unwilling to give up the girl he loves, he devises a plan to elope--believing that once their marriage is sanctioned by God, Lord Stainsby will be forced to accept their union. 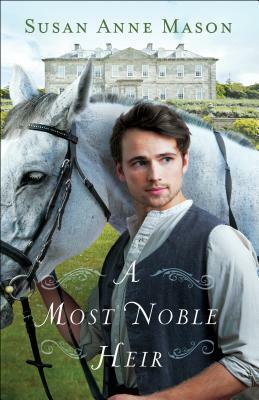 However, as Nolan struggles to learn the ways of the aristocracy, he finds himself caught between pleasing Hannah and living up to his father's demanding expectations. At every turn, forces work to keep the couple apart, and a solution to remain together seems further and further away. With Nolan's new life pulling him irrevocably away from the woman he loves, it seems only a miracle will bring them back together. Susan Anne Mason's historical novel Irish Meadows won the Fiction from the Heartland contest from the Mid-American Romance Authors Chapter of RWA as well as the Christian Retailer's Choice Award for Debut Novel. A member of ACFW, Susan lives outside of Toronto, Ontario, with her husband and two children. She can be found online at www.susanannemason.net.